I’m now 9 days in and it’s been far far harder than I had anticipated! I’d optimistically thought that the worst would be over after 3-4 days but over a week in and I’m still struggling with the side effects of the morphine withdrawal. With 24hours of stopping I was suffering the expected symptoms of aches and pains, headaches, flu like symptoms etc but the worst was the agitation and a weird feeling in arms and legs which caused me to shake them continually for hours at a time. A mix of pins and needles, a buzzing feeling etc. Those of you who have followed the progress of my operation will know that I was taking morphine, tramadol and voltarol regularly to deal with the pain of the ilizarov fixator device. Whilst I could never have coped without the help of the pain medications, the downside is of course that, now the procedure is complete I have to go through drug withdrawal. I had been taking tramadol and morphine at 4hourly intervals for over 6mths. Both are very strong opiate based medications and both have known addictive side effects. So I was somewhat prepared for the fact that my body would have developed an addiction and I would have to suffer the symptoms of withdrawal. It’s been a quite a while since I last blogged. Whilst I was in the midst of the ilizarov treatment I found committing my thoughts and progress to the blog was quite cathartic but now I’m on the mend it’s much harder to find the time. My last leg update at the beginning of March concerned my knee bend, or lack of. That is still the over riding issue albeit I can now achieve almost 90 degrees range of movement at the knee. It has been very slow progress with twice weekly hydrotherapy inter mixed with a weekly visit to a private physio. The cost has mounted up and as the operation to lengthen my leg was elective, my medical insurance won’t entertain covering the costs unsurprisingly. 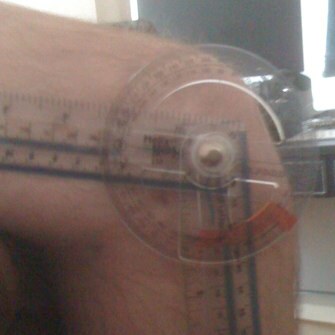 The knee itself is much stronger now but it seems to have stuck at almost 90 degrees. It would seem I am unlikely to enjoy any great improvement past that mark without undergoing another operation to free the stuck tissue that, it is believed, is preventing further bend.